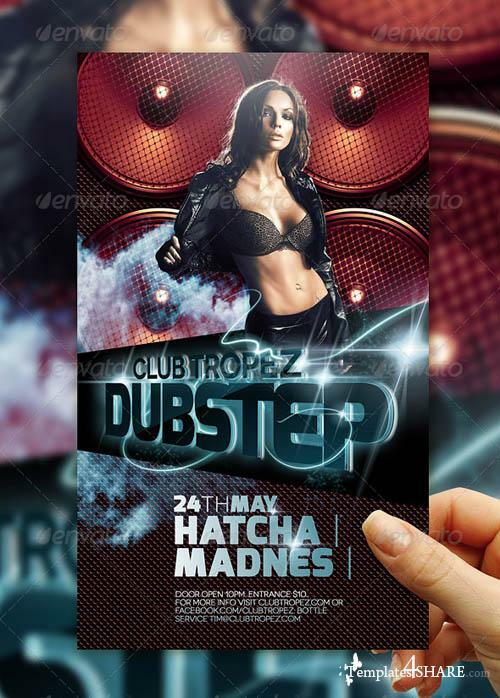 High quality flyer / poster for a night club or a special event. Editing the file is very easy. Everything is layered and labelled. Typeface is free and can be downloaded from the web, more info in the instructions file. Use the ready made color themes or make your own. All the texts are editable. Two different background layouts to chose from and lots of small things that can be used to complement your design.